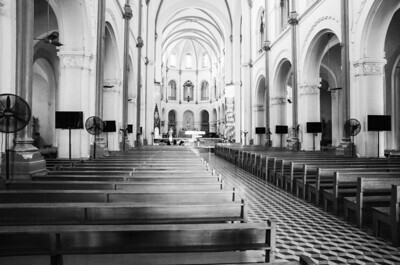 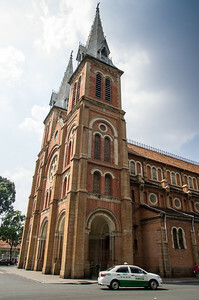 The Saigon Notre Dame Cathedral is located in downtown Ho Chi Minh City, just across the street from the General Post Office. 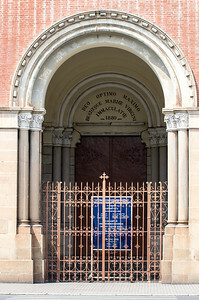 It was built by the French colonists between 1877 and 1880. 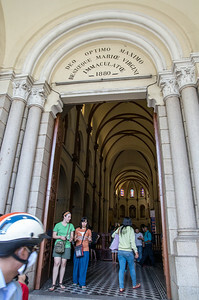 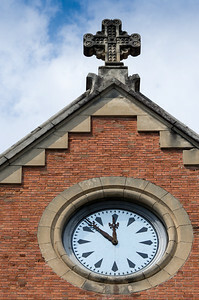 Its architecture primarily follows the Romanesque style, with some Gothic elements added for emphasis. 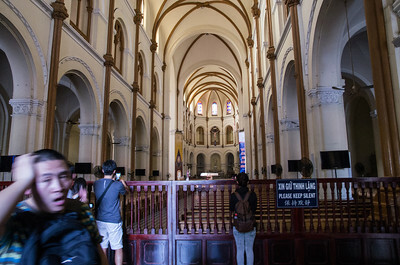 Its design came as the result of a contest sponsored by the governor of Cochinchina. 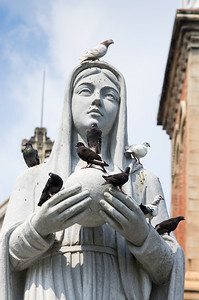 There were 18 entries but one stood out as more elegant than the rest as was chosen to represent not only Christianity in the colony but the greatness of French civilization itself. 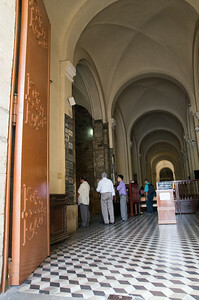 At the time, it cost over 2.5 million francs to construct the cathedral. 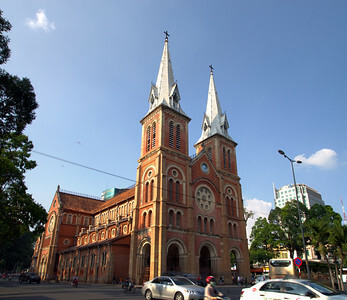 All original building materials were imported from France, though some of the exterior tiles were made in Ho Chi Minh City to replace those damaged during the war. 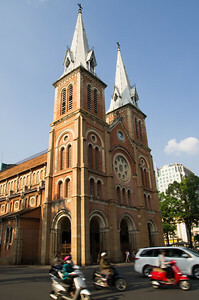 The cathedral’s two bell towers were not added until 1895. 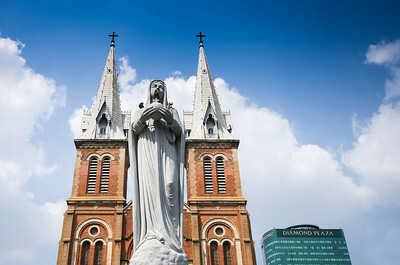 The tops of the towers reach a height of 58 meters and house a total of six brass bells that ring on special occasions in the Catholic calendar. 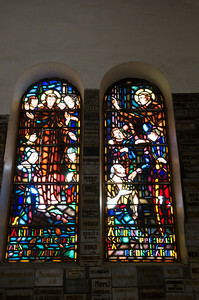 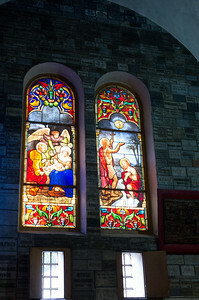 The cathedral’s stained glass windows were lost during World War II and have never been restored. 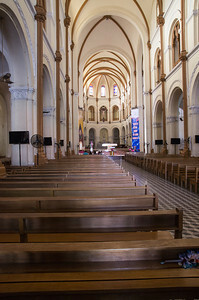 The interior decoration of the cathedral, unlike most Gothic cathedrals throughout France and other European countries, is relatively humble. 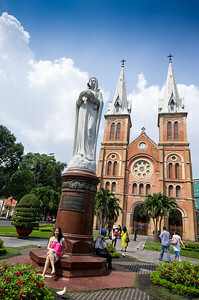 The statue of Virgin Mary in the park was installed in 1959 by Bishop Joseph Pham Van Thien. 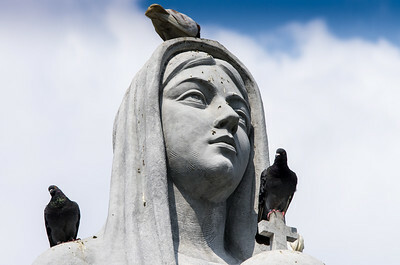 The Bishop ordered the granite statue, which was made in Rome, while he was attending a conference at the Vatican.